Morgantown Chiropractor, 26505 — Toth Chiropractic provides chiropractic care in Morgantown WV for headaches, back pain, neck pain, and other conditions. Some of the crunchiest, tastiest vegetables belong to the cruciferae family. Typically cool weather vegetables, they are most notably characterized by four petal flowers somewhat resembling a cross. 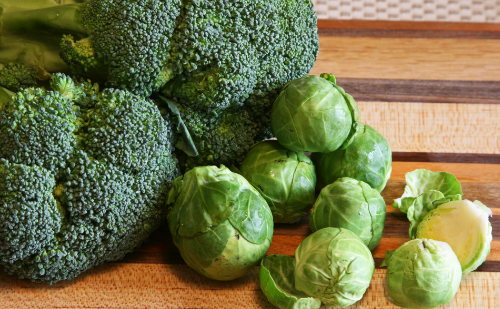 What is the Link Between Cruciferous Vegetables and Cancer? Cruciferous vegetables are packed with nutrients that are believed to lower a person’s risk for several types of cancers, including prostate cancer, colorectal cancer, lung cancer, and breast cancer. This includes the carotenoids zeaxanthin, lutein, and beta-carotene as well as folate and vitamins C, E, and K. They are also rich in minerals and an excellent source of fiber which is well known for preventing colorectal cancer. This group of vegetables is also a good dietary source of glucosinolates which also has cancer fighting properties. When intact, the glucosinolates are not effective, but when they are broken down through chewing, processing, and pests, they then make contact with the myrosinase enzyme and initiate a process that releases specific chemicals that can prevent cancer. There are three primary ways that cruciferous vegetables can prevent cancer. Researchers have found substantial evidence that shows when they are part of a healthy, clean, low fat diet, a person’s risk of cancer can be decreased. Bioactive components – Some studies have shown that the bioactive components of these veggies can actually affect the biomarkers of processes related to cancer in the human body such as decreasing abnormal cell growth. Genetic encoding of gluthathione S-transferase – Gluthathione S-transferase is an enzyme that helps the body metabolize and eliminate isothiocyanates. This is important because isothiocyanates prevent the activation of carcinogens, increase the speed at which the carcinogens are eliminated from the body, and counteract the dangerous effects of active carcinogens. Cruciferous vegetables are at their most nutritious and have the greatest cancer fighting properties when they are raw. When the vegetables are chopped and chewed they release the most cancer fighting chemicals. Likewise, when they are cooked, they lose a great deal of those properties. Steaming or cooking the vegetables very lightly for less than 5 minutes will allow them to retain some of those cancer fighting properties. So, make sure that you incorporate cruciferous vegetables into your diet at least three times a week. If you need further guidance, ask our Doctor of Chiropractic. We’re here to help!